Entries tagged with “social media”. The Science of Social Media Automation. This morning I found this post on a new twitter follower’s timeline. I am very careful about invitations that I receive from men in general on social media, as well as people who come from middle eastern countries, but after looking through his tweets I decided to follow Alizaib Hassan ‏@Alizaib_Hassan in return. I followed this tweet to it’s origin, because I struggle with the time it takes to keep up with all my social media when I market my books. I felt this was worth sharing–it gave me food for thought. After you learned about the many benefits of social media marketing automation in our previous blog post, I’m sure that you’re now, more than ever, decided to start automating. But before doing that, take a look at the best practices that will help you get the most out of this project. One of the most important reason you should start scheduling your posts in advance is that you have the opportunity to reach people that are not online at the same time as you. That’s why you need to study your audience, to see where they live, when they are online and when they’re more engaged with social activities. Based on this data you can choose to schedule your updates at the best times, for maximum reach. You can even decide to re-post some of your updates to be visible to your fans from the other side of the world, that may be asleep when you first post. Especially on Twitter, considering the lifespan of a tweet, you must share your content several times per day to give your followers the chance to see it. Many marketers are complaining about the fact that social media automation feels too impersonal and mechanical. That’s because of the confusion that social automation means that you plan your future updates, and then you just walk away. But that’s not the purpose of scheduling your posts and automating some of your tasks. The goal is to scale your social media marketing, to reach more of your followers, to give yourself the time to engage with them instead of dealing with repetitive tasks. So while you schedule your posts for your social accounts, pages or groups, or you automate tasks such as finding and joining relevant groups in your niche, there are some things that you should still do manually. Like, for example, responding to replies or comments. Or thanking people for sharing your content. These should always be personal. And of course, you should always monitor your accounts, to prevent mistakes or sharing something inappropriate, especially if you import posts from RSS feeds. You might want to review your updates before they go live, to avoid incidents like Coca-Cola’s #MakeItHappy campaign. Your campaigns should be flexible enough to be able to stop or pause them in case of a tragic event. In case of a disaster that you are aware of, it’s best that you stop your automated campaigns out of respect for the people involved in the tragic incident. You can resume your campaigns when you feel it’s the right moment. The secret of successful marketing campaigns is: A/B testing. A/B testing, or split testing, is when you have two versions of a post (A and B, hence the name) that are similar with only one key difference. You choose the version that gets the best results, and then you start testing another element. To improve your automatic campaigns you can test different timings, headlines for your posts, hashtags, calls to action messages or even the images you use. This is an ongoing process, but over time you will get more traffic, engagement, and fans. If you want to drive as much traffic as possible to your online content through social media, you should post your messages more than once. For example, if you have a blog after you publish your blog post, the first thing your do is to promote it on all you social accounts. You’ll get plenty of traffic from Facebook, Twitter, Google + or LinkedIn. But what happens if you share the blog post again, let’s say, next week? The chances are that you’ll not get the same amount of traffic like the first time, but you will still get enough clicks. And if you share it again a third time, you might even double your traffic. 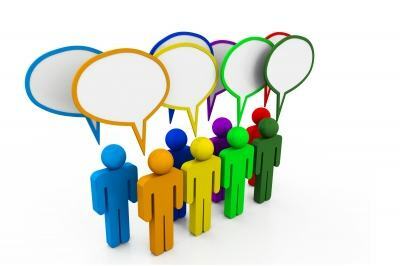 To master this practice, though, you must know when is OK to share the same message, depending on the social network. On Facebook or Google+, you can share the same blog post again next week and maybe a month from the original post. But on Twitter, you can share the same blog post even in the same day, a few hours later. That’s because of the dynamic of this social network. You need to find a balance between the amount of content you share and the number of shares per day. 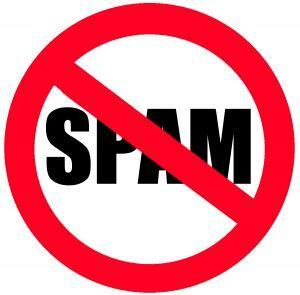 You don’t want to flood your followers with your content and look “spammy”. The best way is to think about what activities would annoy you and just stop doing that. For example, would you like to see the exact same message, five times in the last hour? I didn’t though so. Start by researching other brands and see how many times they share per day. Research your audience and see when they are online. Start sharing enough content to keep your audience engaged and then test other scenarios. 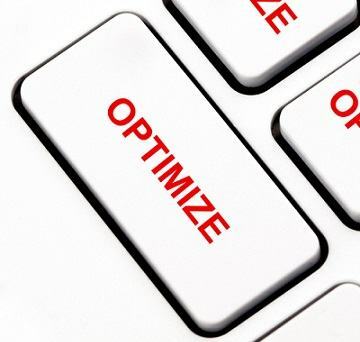 This way you will gradually improve and optimize your strategy. Choose different types of content to have diversity. Occasionally, throw in some personal insights to show your human side. Don’t automate your replies, comments or direct messages, because that’s perceived to be over that “spam line” that we’re talking about. This goes without saying, but don’t share content on social media just for the sake of it. Always have your audience in mind and only share your best stuff. You social media updates need to have substance and to be helpful to your fans. If you schedule your posts in advance, make sure you brainstorm ideas and share only content that is relevant to your niche, and that helps building your brand and your community. When developing a sharing schedule, a good practice would be to have customized campaigns for each social network. This way you can benefit from the particular features of all the social platforms. On Twitter, you are limited to 140 characters, but that’s not the case for Facebook or Google +. So why limit your Facebook posts to 140 characters? Your images can be optimized for each social network, for a better, sharp look to your posts. Here you can see a guide to all the image sizes you need to know. Another thing you should have in mind is that depending on the social network, you can post your content more often. For example, on Twitter you can post every 2 hours while on Facebook 4 or 5 posts per day are enough. Automating your social media posts gives you the opportunity to have an overview of the entire sharing schedule and see if your posts are diversified enough. Try having different types of posts in your schedule: links, image posts or video posts. Even if you repeat your posts over the week or month, you can change the headline or the image, or you can use a quote from the blog post to spice things up. One rule you need to go by is “never share the same message twice”. The second time you share it, try something new: ask a question, add a different call to action or use different creatives. If you post the same message several times, you look spammy, and you annoy your fans. So, get creative and spice things up! You still need to show people that there’s a real person behind the social accounts. Likes, shares, comments, that should all be done manually. You can’t fake real meaningful conversations with your customers. Social media automation is not supposed to replace humans entirely. It’s supposed to help you get more time for creating relationships with your customers.